Last year Guinness asked me if I wanted to take part in the Guinness BBQ Challenge. I immediately said yes! 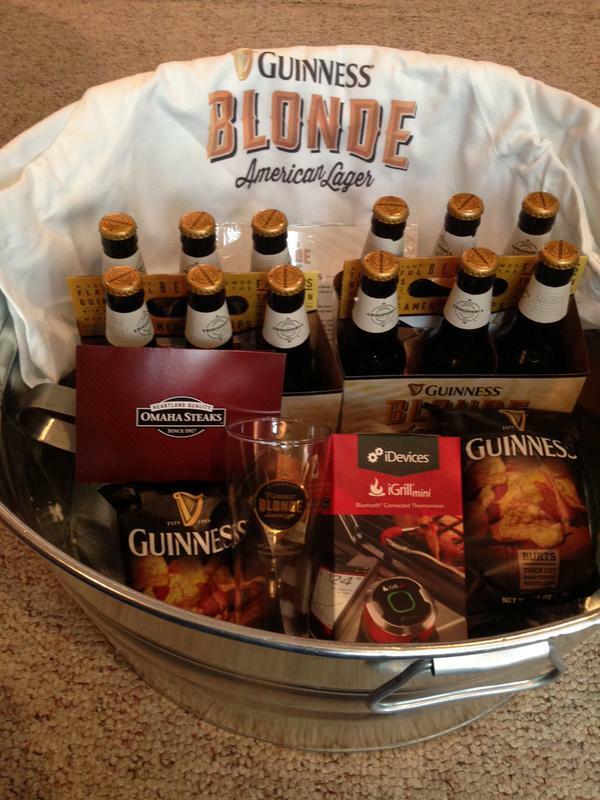 I am a fan of Guinness and couldn’t wait to try their new Guinness Blonde American Lager. Now as we fast forward to the present Guinness asked me to step up once again and take the Guinness BBQ Challenge. This time I needed to use their Guinness Nitro IPA. This is a yearly trend that I could get used to. This year I decided to grill a flank steak and make a steak salad. It is a dish perfect for the summer. I got a steak that you usually would get when making fajitas. I took some Nitro IPA, dry Italian seasoning, a bit of olive oil and put all of those ingredients with the steak in a Ziploc bag. I marinated the steak for about half a day. I got the grill up to 400 degrees. I opened up the bag up and smelled a fantastic steak marinade. I grilled the steak for seven minutes on each side. I then put that steak in some aluminum foil for about eight minutes to capture the juices. Before I started up the grill I made a salad with my vegetables of my choosing. I put that salad in the fridge when I began to grill. As the steak was settling in the foil I took out the steak and cut it up to bite size pieces and put it over the salad. I added some Italian dressing. Man it was delicious. My family and I enjoyed it so much that it will be a summer staple meal for us. Please Note: I am working in partnership with Guinness for this this campaign. All thoughts/opinions are 100% my own. Please Drink Responsibly. With tablets and smartphone we seem to add an emoji to everything. One company feels left out. The brewers of Guinness have a question: What about dark beer? 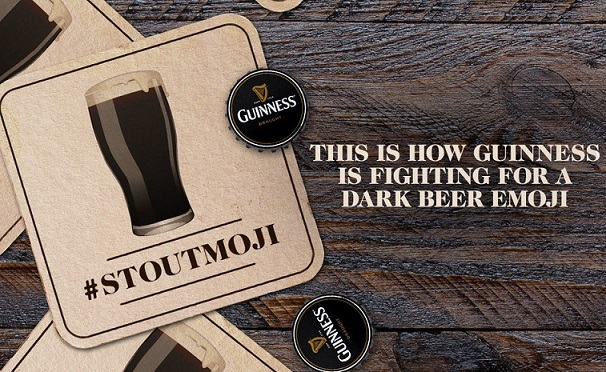 That’s why today, Guinness & Co. published this open letter calling on dark beer lovers to join the fight to bring a dark beer emoji to the world’s keyboards. Here is their open letter. Ireland’s Arthur Guinness to America’s craft brewers. Today we enjoy more stouts, porters, and dark ales than at any time in human history. And in this age of technological innovation, we have more ways than ever to share our experience with others. But when it comes to communicating with tiny icons, we’re limited to two pale beer emoji. We know that you, dark beer lovers of the world, have noticed. We don’t live in a one-beer world, and we deserve more than a one-beer keyboard. That’s why we’ve submitted a proposal to the Unicode Consortium, the organization responsible for emoji, asking them to release a dark beer emoji—or Stoutmoji, if you will. By showing the powers-that-be we’re serious, we can bring Stoutmoji to the world’s keyboards. There’s no time to waste … St. Patrick’s Day is almost here. Just when you thought you couldn’t love the folks at Guinness anymore they bring two new more beers into the mix. Two beers from The Brewers Project are making their official debut in America for a limited time – the West Indies Porter and Dublin Porter. 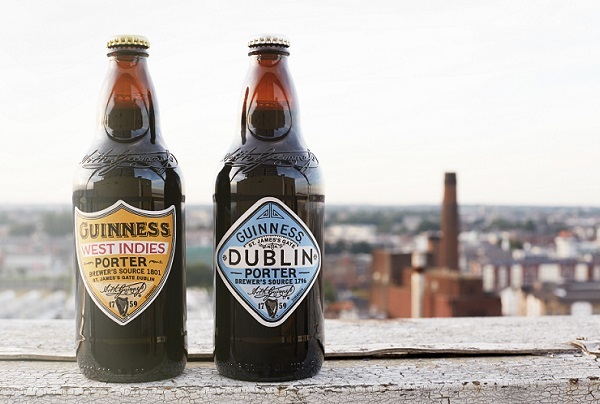 Rooted in the history and showcasing the brand’s innovative spirit of creating great beer beyond the iconic stout, the West Indies Porter and Dublin Porter have been reinvented from old recipes found in the Guinness Brewers’ diaries. With origins in a 1796 entry in the Guinness brewers’ diaries, the Dublin Porter was inspired by the golden age of porter in the 1800s. This was a time when porter was the working man’s beer and after a long day’s work in Dublin or London, Guinness would have been a respected choice. The West Indies porter is based on an 1801 diary entry for the first Guinness purposely brewed to maintain its freshness, on long sea voyages to the Caribbean and beyond. 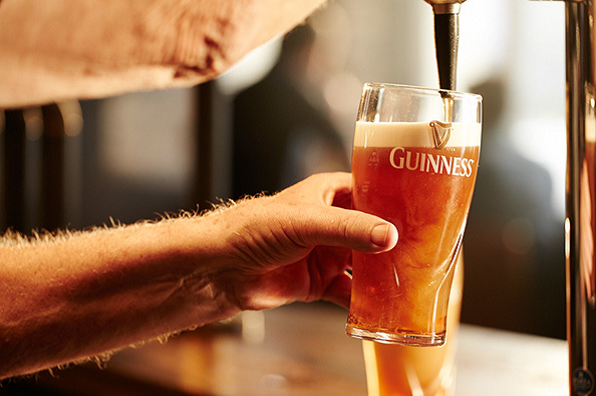 To guarantee the best quality upon arrival, Guinness brewers made a porter with more hops and a higher gravity. 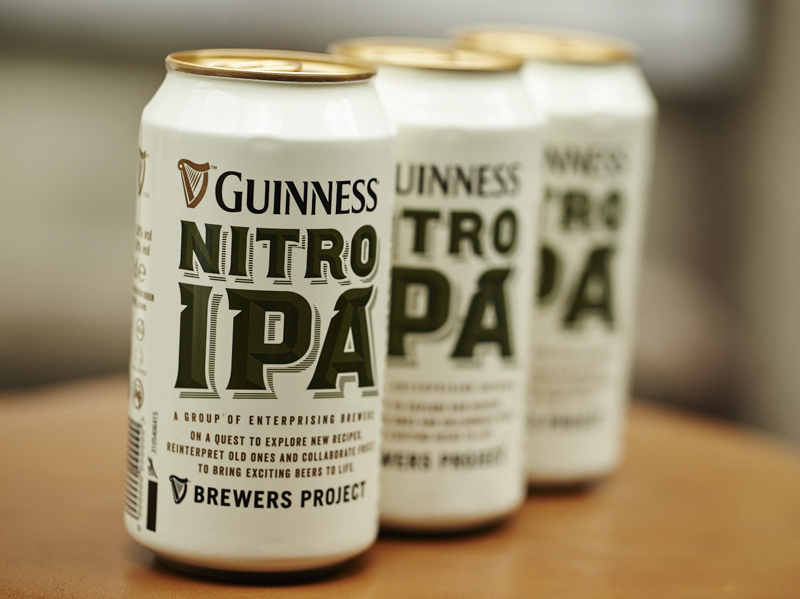 They’re available now, along with Guinness Extra Stout, at participating Costco, Sam’s, BJ’s, and Total Wine & More locations nationally as part of The Brewers Project Pack for manufacturer’s suggested retail price of $21.99. Whether enjoying a beer from The Brewers Project Pack or any Guinness beer, please drink responsibly. This Sunday is National Beer Can Appreciation Day. So why not celebrate with an iconic beer brand? In 1988, Guinness Draught launched in a can, using a revolutionary widget to recreate the famous creamy surge seen when Guinness is served from a tap. The widget won the Queen’s award for technological achievement in 1991. 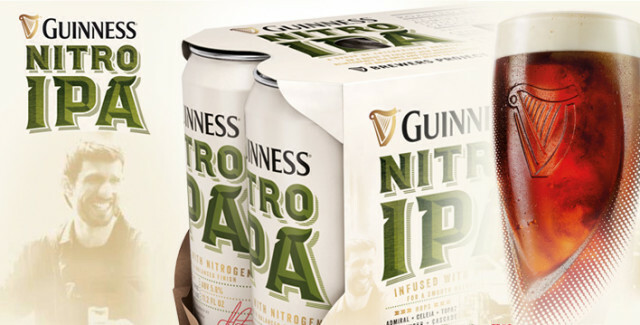 Since its inception, Guinness has always been a brand at the forefront of innovation from inventing nitrogenation more than 50 years ago to introducing the widget perfecting Guinness Draught in a can to the launch of Guinness Blonde American Lager last year, and now Guinness Nitro IPA. Nitrogenation is a trend gaining steam in the American beer industry, which is something Guinness pioneered more than 50 years ago. The good folks over at Guinness gave me a challenge. 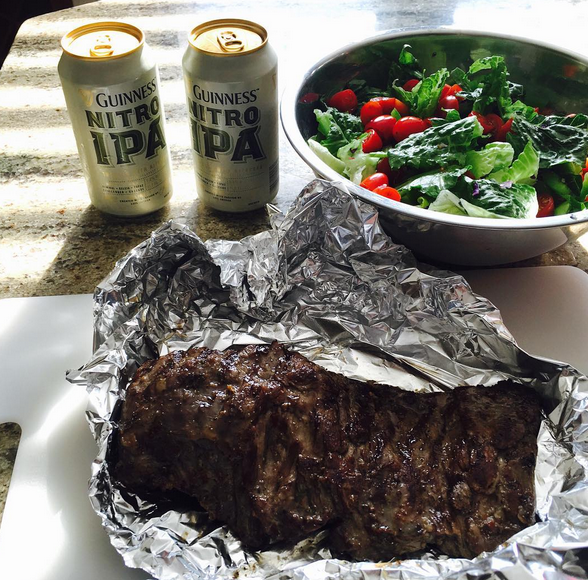 They wanted me to see what summer grilling recipe I could come up with by pairing my dish with Guinness American Lager. Well technically it was called a challenge, but in my mind it was an invitation to find a tasty dish to serve my friends and I on picturesque summer night. Doing some research I found that when it comes to a lager the best pairings are seafood, sushi; grilled pork, grilled chicken, some pasta dishes, Southeast Asian food, Latin food and Mexican food. I was thinking about making one of my favorite dishes which is a taco salad, but you really can’t grill taco beef. So I decided on making a chicken dish. 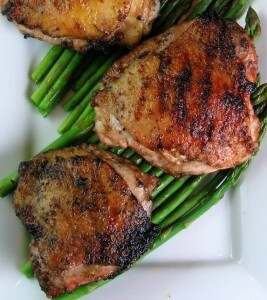 I was looking to make a tangy chicken to go with the Guinness Blonde Lager. My friends and I enjoyed the meal and the lager. To go along with the Guinness Blonde Lager and chicken I grilled asparagus and made some potato packets. I was glad to see everyone loving the dish, the lager, and the conversation at the dinner table. Thanks Guinness for the challenge. It was a great excuse to bring some friends to unwind and enjoy your Blonde American Lager responsibly. For more on the lager go to the Guinness website here! Combine the ketchup, cider vinegar, molasses, brown sugar, dried mustard, soy sauce, Worcestershire sauce, water, and kosher salt and pepper into a sauce pan. Simmer for 30 minutes. Get the grill to the medium-high on one side. Add some salt and pepper on the chicken breast halves. Grill over direct heat until golden and crisp on both sides. It should be done on each side for around 5 minutes. Transfer to a bowl and toss with 1 cup of the sauce. Place on the cooler side of the grill; cover and cook, basting once, until the meat is glazed and reaches 165, 25 to 30 minutes. 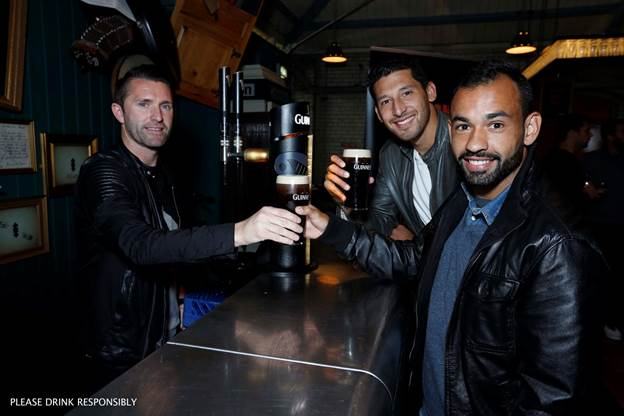 This weekend, members of the LA Galaxy traded in their soccer cleats for a pint glass during a visit to St. James’s Gate (the Guinness brewery) in Dublin, Ireland. The LA Galaxy is continuing their preseason with an eleven day European tour including training sessions in Dublin. A few members received a tour of the Guinness brewery and learn how to pour the perfect pint of Guinness. This past week the first official batch of Guinness’ new beer came off the line that will hit shelves in the coming weeks. Their Blonde American Lager was created by Joe Gruss, an American brewmaster who is a member of the Guinness Blonde brewing team. Guinness Blonde American Lager marks the first time the brand has brought its signature Guinness yeast from Ireland to the U.S. Keeping true the brand’s brewing heritage known for quality and taste, Guinness Blonde American Lager is a crisp refreshing tasting amber lager with a floral, hoppy aroma. The American lager is twice as smooth, half as bitter and 80% lighter in color than Guinness Draught. The beer comes from the brand’s new brewing concept – the Guinness Discovery Series which combines over 255 years of European brewing expertise with different brewing styles and techniques. This series of beers offers more style, taste, and flavor to beer drinkers in the U.S.
Now I know some of you might be thinking, “WHAT?” Why would Guinness even try their hand in a lager when they have dominated their own niche in the beer market? 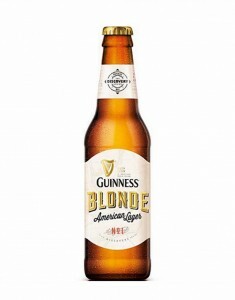 Some beer fans even went as far as saying it was blasphemous for Guinness to even make a blonde beer. To those I say calm down. Just try it. I know it might seem awkward to drink a Guinness that is light in color, but trust me it is definitely worth it. The taste had hints of what we love about Guinness as well as tastes from American style lagers that I enjoy. I had a few friends try it out and they liked it too. It has a hoppy and citrus smell that helps deliver a long malt, biscuity finish once you taste it. The lager is very crisp and refreshing. Look for it in stores in a 6 pack selling at a retail price of $8.99. Guinness® Blonde™ American Lager, from the makers of iconic Guinness Stout, is made in the famed American brewing city of Latrobe, Pennsylvania. Guinness® Blonde™ American Lager uses American hops and Guinness’ world famous 125-year-old Guinness yeast. 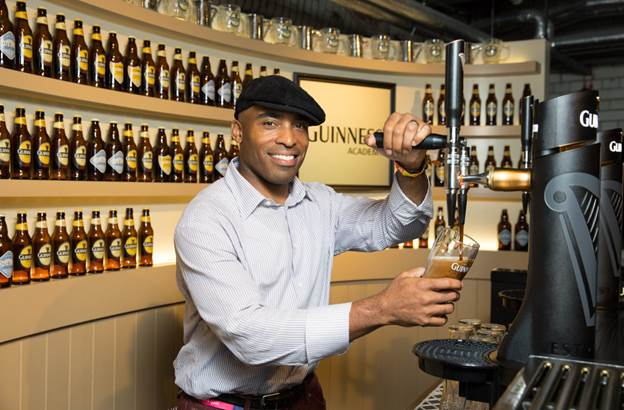 “From sports bars in Texas to truck stops in Iowa to backyard barbeques in Montana to trendy Manhattan bars, Guinness® Blonde™ American Lager brings the taste, color and character of great American beers and fuses them with the heritage and artistry of the Guinness tradition begun in 1759 by Arthur Guinness,” said Doug Campbell, Guinness Brand Director. As lagers continue to gain favor among beer drinkers in the U.S., Guinness Master Brewers in Dublin have collaborated with brewing experts in the U.S. to create a one-of-a-kind taste in American Lagers. Guinness® Blonde™ American Lager is a complex, flavorful lager with a floral, hoppy aroma that is a combination of Mosaic™, Willamette and Mount Hood hops. Combining these American ingredients with the world famous 125-year-old Guinness yeast intertwines two brewing traditions – Guinness and American. Guinness® Blonde™ American Lager is the first release in the Guinness Discovery Series™, an innovative concept showcasing a range of new ‘fusion brew’ beer options, all to be released under the Guinness trademark. The Guinness Discovery Series™ will feature an array of beers that combine the Guinness brand’s European brewing expertise with different brewing styles and techniques. The series will release these fusion brews bi-annually, beginning with Guinness® Blonde™ American Lager, providing new ways for fans of the brand and beer drinkers to experience Guinness, responsibly. Available in a 12 oz. 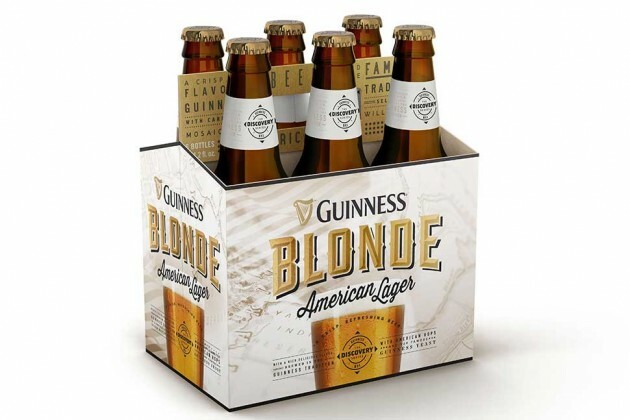 bottle (5% ABV), 6-pack, with a suggested retail price of $8.99, Guinness® Blonde™ American Lager is best enjoyed cold and straight from the bottle or served in a 16 oz. Guinness branded glass. 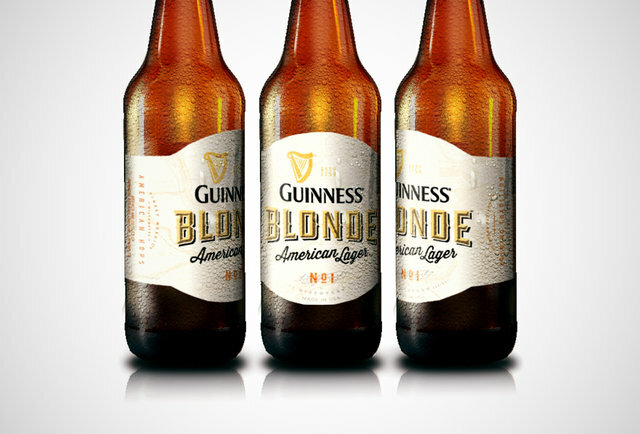 Guinness® Blonde™ American Lager will be on shelves nationwide beginning in mid-September 2014. Whether enjoying a new Guinness® Blonde™ American Lager, or any Guinness beer, please drink responsibly.